Telecom companies, especially those serving large areas and both corporate and individual customers, tend to have huge user bases. Of course, this is what the company aims at and what their marketing departments get paid for. However, having a large user base has its flip side, and that is an extremely dense volume of incoming customer calls and written communications. For that reason, telecom companies maintain large 24/7 support services. In the telecommunication industry, customer support is a very complex service involving several lines of expert assistance. The service receives a constant flow of customer calls on all sorts of issues and problems – something is not working, too much money has been charged, I need help to set up my equipment, we need to switch to another tariff, and so on. For telecom companies, the situation is getting even more aggravated by the fact that everybody wants their communications right now, as today too much depends on a proper Internet or mobile connection. Moreover, a simple “there is no Internet” complaint can be caused by half a dozen reasons – from a major base station failure to the customer forgetting to make the next payment. In this context, enhancing the telecom customer support with chatbots seems a great solution to many problems. 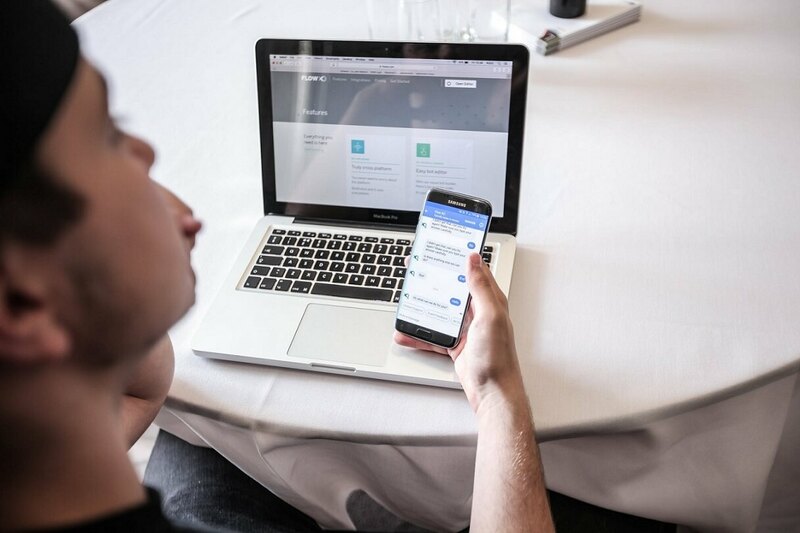 The implementation of a chatbot – software generating human-like responses to the customers’ questions – can bring great relief to the overwhelmed support personnel and streamline their work. 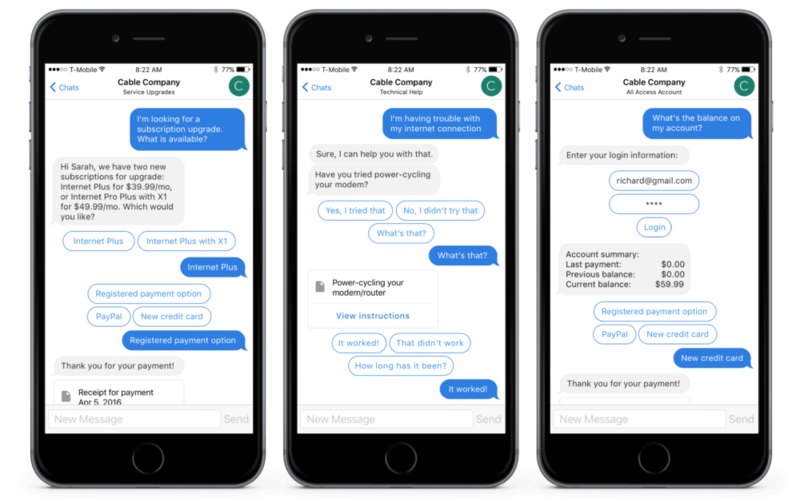 What can chatbots do for telecom companies? In the telecommunications industry, chatbots can perform a truly amazing number of functions significantly improving the performance of the support service. At the first line of service, a chatbot can act as the primary point of contact for the customers helping them find the expert who can resolve their problem. In fact, this function is similar to what we hear when calling a helpdesk: “If your question concerns a financial matter – press 1, a technical matter – press 2…” but much friendlier. Whether their inquiry concerns a technical consultation, a service failure, a financial matter, a general question, etc. A more detailed description of the problem – no connection, slow connection, payment rejection, overcharge, and so on. This way, when the chat is finally transferred to a human operator, the operator already knows the basic information about the customer’s problem. Moreover, the initial communication with the chatbot ensures that the conversation gets to the right person who can handle the matter. Requesting their account status and other individual information. All these matters can be safely handed over to chatbots, as they can simply pull up the relevant information from the database in response to the text strings they recognize in the customers’ inquiries. For example, if the customer wants to know how to upgrade to another tariff, the chatbot may ask which tariff they are subscribed right now and then provide the common instructions of upgrading. If the question concerns the account status, the chatbot may ask for the account number and/or address and return the available customer data. If the service is down in a certain area, the customer support is having some tough time. They are flooded with calls from people who want to know the same thing – what happened and when are you going to fix it? Since the answer is the same in most cases, this task can be assigned to a chatbot. After greeting the customer and asking for the account number, the chatbot will immediately “know” that this customer is affected by a major incident. In this case, they can respond with a pre-programmed text explaining the problem and giving the estimated time when the service is back to normal. This chatbot function can be a huge relief for the operators who can deal with other matters where human interference is needed. Even if the customer turns to the support not only for information but also for assistance with a certain problem, a chatbot can help them here, too. Such minor things as service interruption because the payment is overdue or changing the customer’s contact number or credit card on their file can be done by chatbots. Moreover, since the major chatbot-hosting platforms, such as Facebook Messenger and Telegram, have implemented the option of processing payments directly from the chatbot, the financial issues can be resolved even easier. Tobi, the native chatbot of Vodafone UK available right on its website or as a special app for Android and iOS performs exactly these functions – answering simple questions and redirecting the user to a human operator when the matter is too complex for its artificial intelligence. Chatbots are a great channel for collecting customer feedback. They can either proactively reach out to customers with whom they have already chatted on other matters or ask for feedback after resolving other issues. 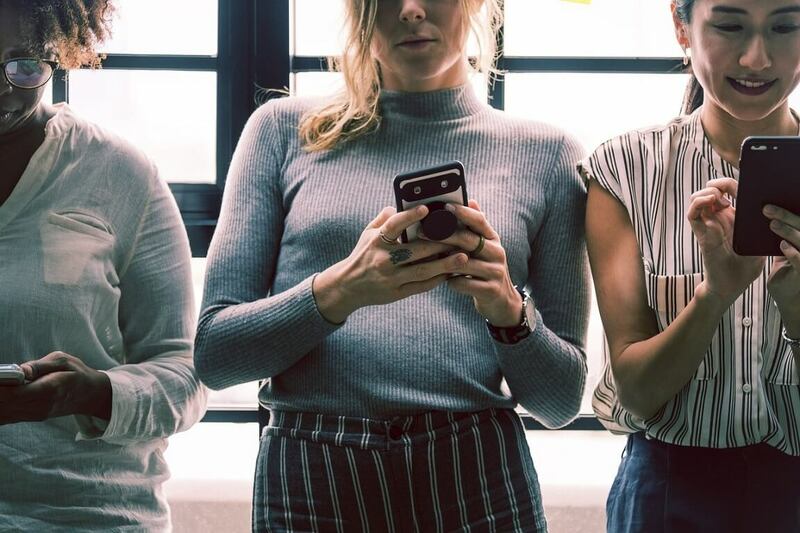 Here, the advantage is that people tend to view and respond to messenger notifications better than to emails, and phone calls may distract and annoy customers. A feedback request received through a chatbot may be reviewed and answered at a convenient time. Telecommunication companies often use chatbots to establish a personalized relationship with their customers. They make a chatbot the customer’s “buddy” who can maintain a discussion on the movies and TV shows that are on the channels that the company provides. Such bots can suggest what to watch tonight, provide a choice of different shows and even offer “own” views on particular films or series. They can also provide some fun facts or trivia on a movie or show to amuse the customers. AT&T launched an entertainment bot called Atticus with the primary purpose of entertaining its audience. The bot maintained totally human-like conversations and could talk on various subjects related to the TV shows that AT&T broadcast. All these chatbot functions that we discussed can bring significant benefits to the company, both in the financial and reputational areas. Most of the customers calling the support service of a telecom company are already angry and annoyed, as the majority of such calls refer to a service failure. Naturally, when forced to wait on hold or punch buttons to be transferred to other departments, again and again, the customer becomes even more frustrated. The chatbot is available immediately. Since it is not a human operator but a software, it can serve multiple customers at the same time without making them wait. In a chat, the customer does not need to wait to be transferred to another operator who can resolve their problem. When the chatbot is set to find out as much as possible about the customer’s problem, it can assign the chat to the appropriate expert right away. The chatbot creates a smoother communication experience. The customers want to contact the “company” and being transferred to other departments several times and having to explain their problem repeatedly makes them unhappy with the service. In a chat, all transfers occur in the background invisible to the customers, and each new operator can read the previous messages to understand the issue without asking the customer to repeat. Chatbots make it possible to multitask. A chat is just one more window in the browser or on a smartphone, and customers can respond to it at their own pace. A telephone call, on the other hand, keeps the customer focused on the conversation and requires prompt responses. Besides, when kept on hold, customers cannot engage in other activities for the risk of missing their turn to talk to the operator. Texting is easier than speaking. Many people find voice conversations difficult – some people are not native speakers of the language and are not confident that they can understand everything; some have accents or speech impediments; some are just shy. For many of us, communication via text messages is less stressful than speaking over the phone, and chatbots fit this purpose perfectly. Chats can be saved for future references. Most chats have the “Save” feature allowing to save the entire chat or send it to the customer’s email. Having a copy of the chat can help both the customer and the company in resolving disputes, as the chat clearly shows what both sides said. 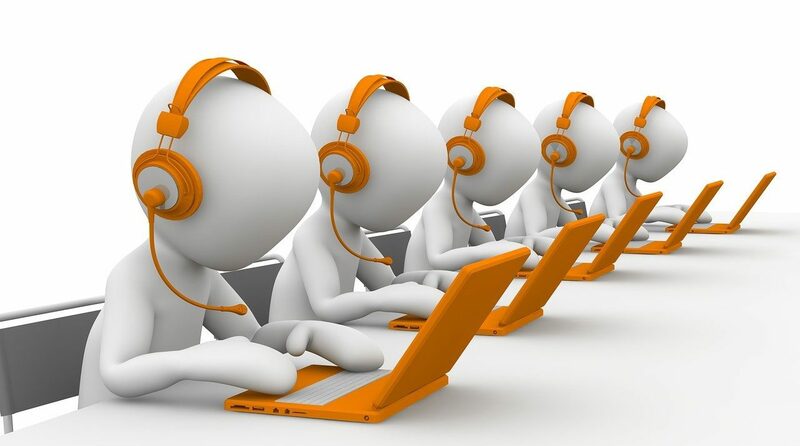 Chatbots taking over the low-efficiency functions, such as responding to repetitive questions, assisting in major incident handling, providing basic information to the customers can improve the overall productivity of the customer support service. Human operators relieved from routine tasks can manage more complex issues instead and handle the matters requiring the flexibility of the human mind. As a result, both the routine issues and the problems needing individual attention will be resolved quicker and more effectively. For telecom companies serving large geographic areas and providing the 24/7 service, the continuous availability of their support service is critical. Of course, many companies maintain a large staff of support engineers and operators, but such arrangements are always rather cost consuming. A 24/7 operation requires higher rates for operators working night and weekend shifts as well as very careful roster planning for the holiday season. Such events as the Black Friday and Cyber Monday when many telecom companies offer discounts on their services also lead to peaks in customer communications. Chatbots needing no vacations, lunch breaks or 8-hour shifts can lighten the burden considerably. Of course, the current state of AI does not yet allow operating a support service with chatbots only, but they can become valuable members of the staff. This benefit sums up what we have been talking about so far because all the positive effect of implementing a chatbot for a telecommunication company ultimately leads to saving the costs. When the chatbot takes over the tasks that were traditionally performed by operators, this means that the company can hire fewer operators. When the chatbot is included in a 24/7 roster, the number of operators per shift can be reduced which can directly lower the costs. When the chatbot creates a better, smoother customer experience and helps to resolve their problem quicker, it, again, leads to cost-saving in the form of retaining the customer. It is no secret that many customers judge the quality of the company by the way it handles emergencies and failures. When everything is working, nobody pays attention, but when something is down, every minute counts. Therefore, if the chatbot can contribute to making the customer happier at times of major incidents, they work towards maintaining the overall reputation of the company. In addition, a good reputation means more customers and more money at the end of the day. Chatbots can become a valuable addition to any business handling multiple customer inquiries. Telecom companies with their huge user bases will definitely see the effect of a chatbot implementation, and rather soon. Depending on the specific requirements, chatbots can be of various complexity, functionality scope or format. Some may be rather simple Facebook or Telegram bots handling simple matters, while others may be native bots with sophisticated NLP and AI algorithms allowing the bot to recognize free speech and learn in the process. The range of matters assigned to the chatbot may be different, too. Some companies may prefer to use chatbots only for technical support matters, while in other use cases chatbots can be the customers’ friends in the telecom industry. For example, the Verizon bot is, in fact, the user’s personal assistant in all matters related to the telecom service – from paying the bills to suggesting what to watch tonight, with lots of other functions. One thing is certain – the implementation of a chatbot for a telecom company is a recommended step in a complex strategy of improving the service. Greater user engagement, higher customer satisfaction, cost-saving – all these benefits can really help the company to raise the service level. We invite telecom companies to discuss chatbot implementation for their business, as we are confident that the positive effect of such a decision will be visible within the shortest time. If you are interested in enhancing your customer service with a chatbot, we will be happy to help you design and implement a custom solution corresponding to your requirements.